If you have missed out on your community registration you have one last chance to register. The last chance to register and get on a team is on Thursday September 11th at Bedford Road Collegiate. Please come between 7pm and 8:30pm to the front doors of Bedford Road on Avenue H. We are set up in the library. Once there you will find your community association rep and register with them. If they are full you will be directed to the next closest community in the same zone. If all teams are full in the zone you will be put on a team that has room for you in a different zone. 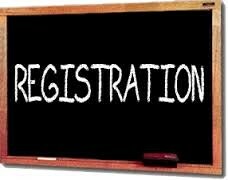 If you really need to be in your own community or the community your kids attend school in please attend the community registration night in your area. Registrations will all start this week and you can find the date/place/time in the Leisure Guide which can be found at www.saskatoon.ca.